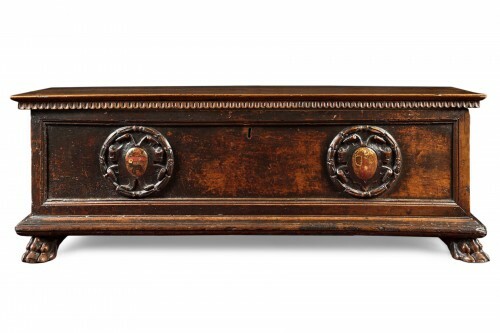 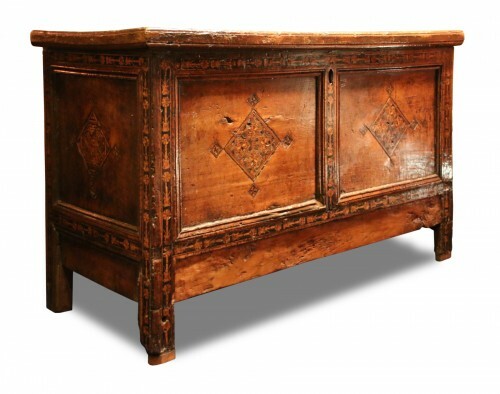 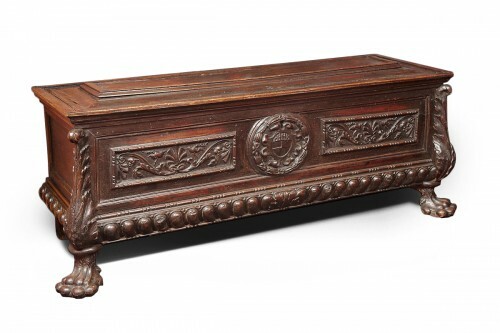 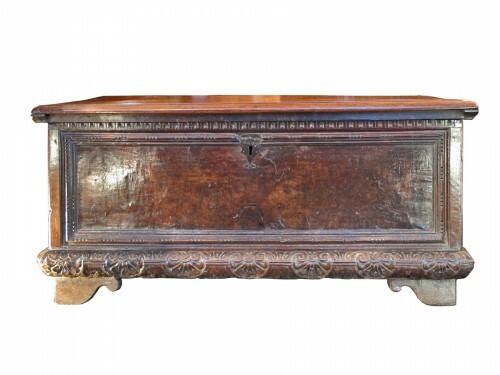 Big spanish chest built in 16th century, in chesnut. 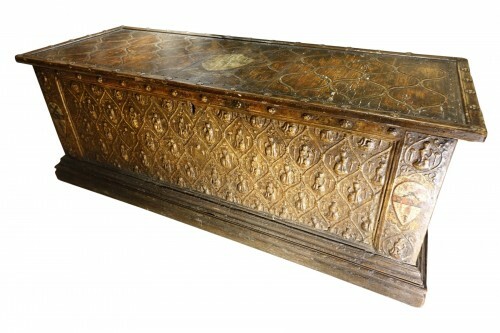 Pannels are decorated upside. 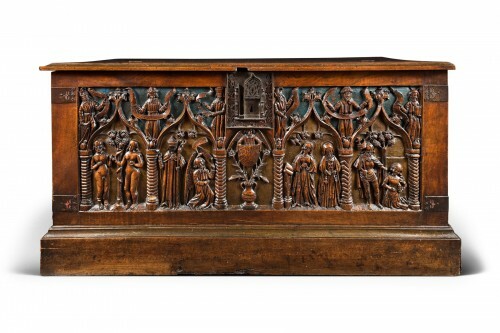 the front of the chest is richly decorated and siloed.